Pangeanic, a Valencia-headquartered translation agency with its own R& Ddivision and machine translation technology solutions called PangeaMT, participates in the European project EXPERT. The 14th edition of the international machine translation conference MT Summit will be held in early September 2013, and Pangeanic will be pleased to present a poster on the EXPERT project. The purpose of the project EXPERT (EXPloiting Empirical appRoaches to Translation) is to train young researchers, in particular PhD students and persons already in possession of a doctorate, about R&D as well as use of hybrid translation technologies. 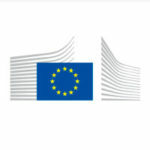 EXPERT, a 48-month project funded by the European Union’s People Programme (Marie Curie Actions) of the 7th Framework Programme FP7/2007-2013 /, was kicked off in October 2012. Several European universities and companies make up the project’s solid consortium. For details about this project, visit this website. Pangeanic shall contribute to the project at various levels and at different stages. Pangeanic will be supervising researchers with areas of interest focusing on the implementation and evaluation of hybrid translation technology, the users’ requirements of this technology by translators and the confidence estimation of corpus-based approaches to translation. Attached is the summary of the poster accepted by the Selection Committee for the MT Summit 2013 conference. In this 14th edition, the conference features a diverse program focusing on full innovation in machine translation, both from academic departments and research institutes around the world as well as organizations that make an active use of this technology. The MT Summit include presentations, panels, posters as well as workshops and tutorials. 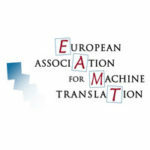 It also represents an excellent opportunity for dialogue between members of the macro-regional organizations in the international arena of machine translation, namely the EAMT (European Association of Machine Translation) and the IAMT (International Association of Machine Translation).